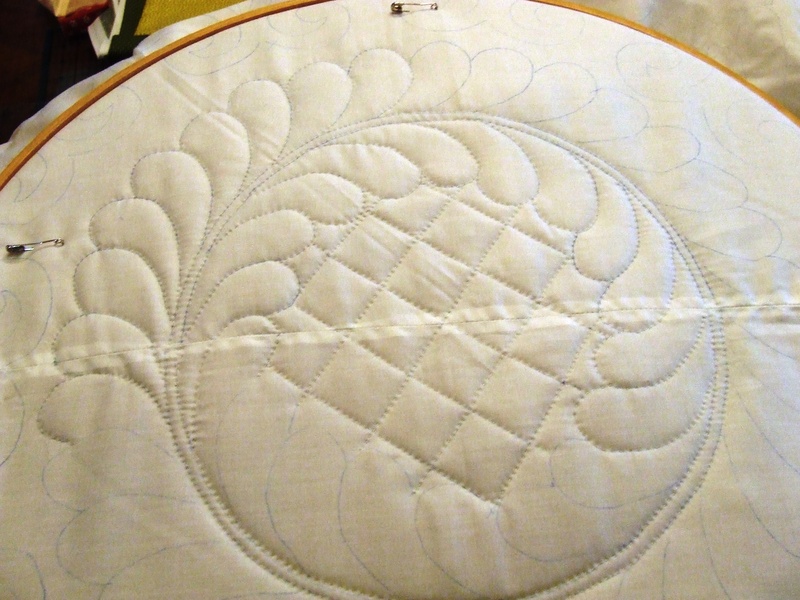 This entry was posted in Quilts and tagged hand quilting, Quilting, Quilts, treadle quilting. 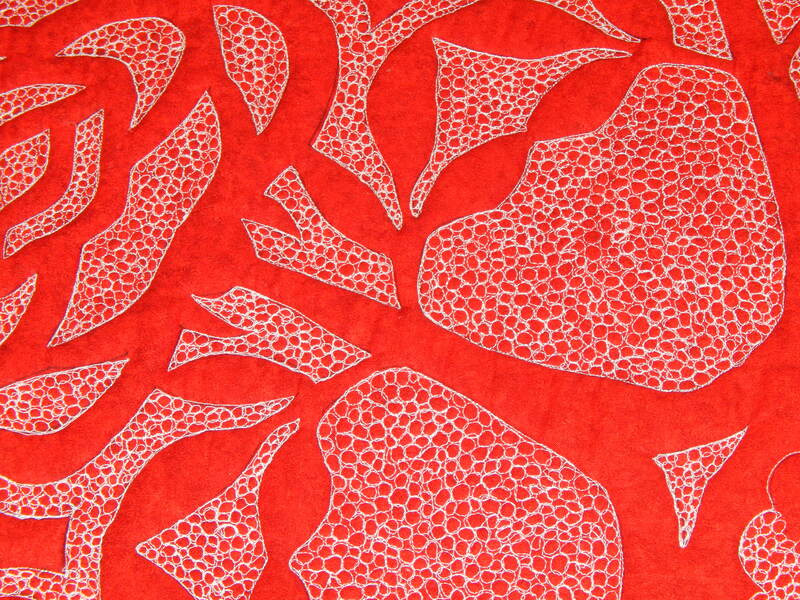 Exquisite quilting, as usual! 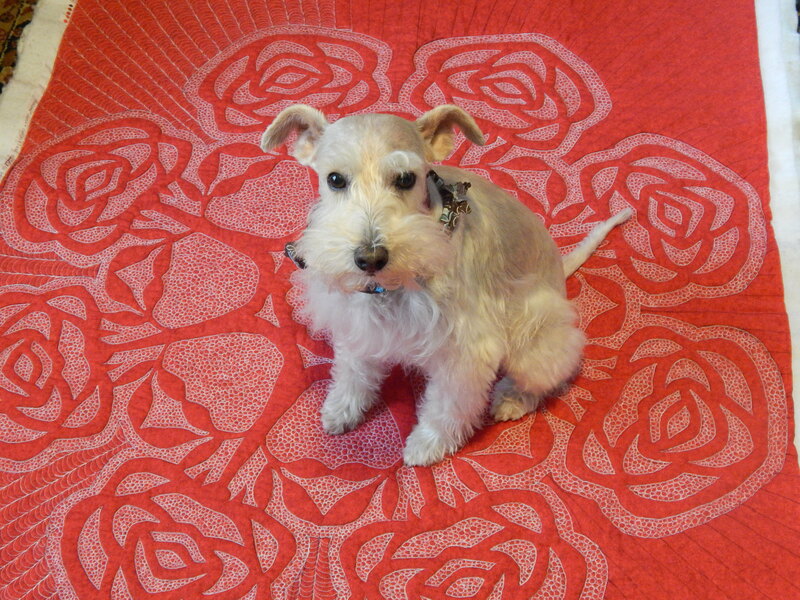 Thanks for blogging again. 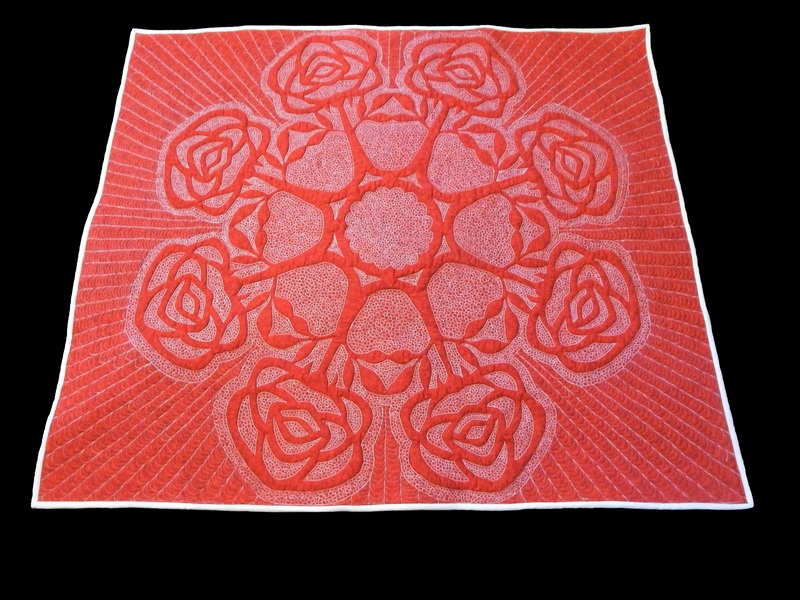 After a long day, it was such a pleasure to open my email and see a post from “TimQuilts”! Also, your use of treadle machines is making me want to get my old treadle machine — which was an antique even when I used it as a child — out of retirement and get it going again. Thanks for adding so much beauty to the world! Wow! Wow! Wow! Totally amazing. 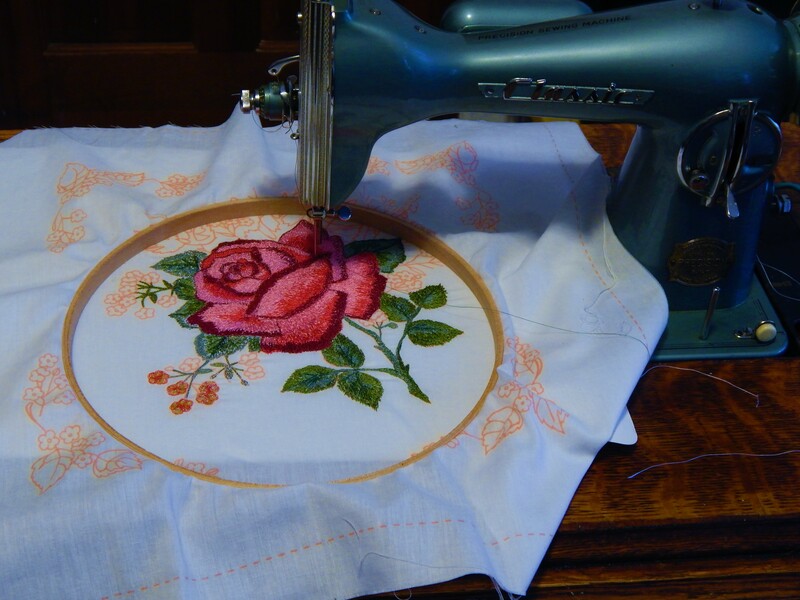 I cannot believe the treadle embroidery – speechless again. Glad you’re back! I was wondering if I had “unsubscribed” or something, by mistake! 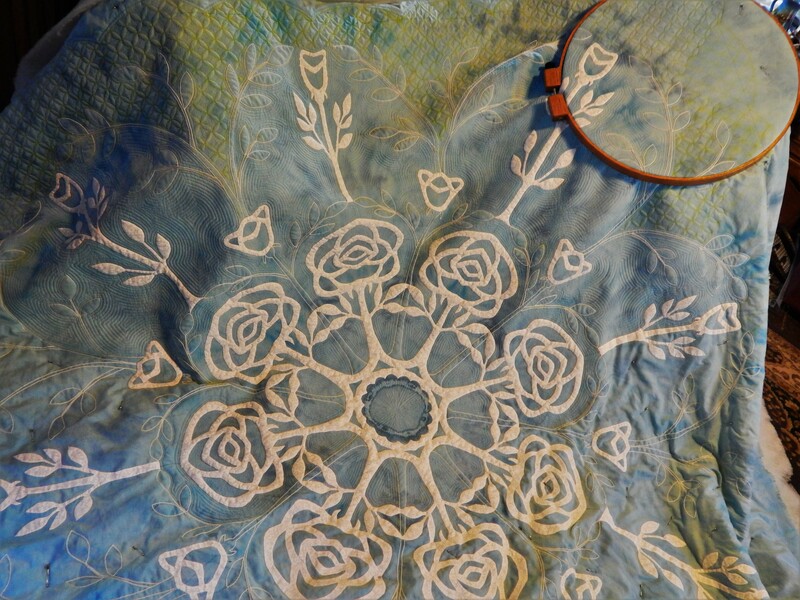 And the rose embroidery, done on a treadle machine, is unbelievable. What an incredible artistic eye you have. I also have the comment “wow”. 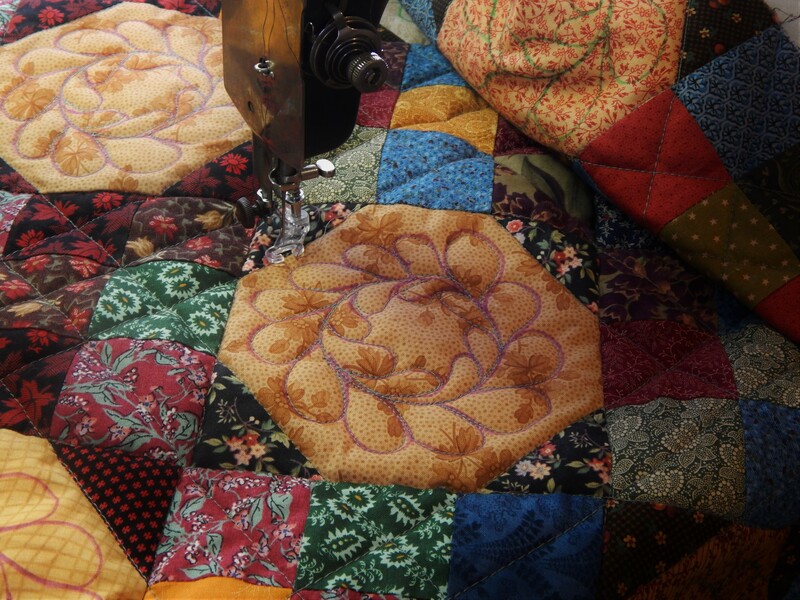 Maybe someone should bring treadle machines back. Tim…your skill and creativity never cease to amaze and inspire me. Mechanic, designer, hand and machine stitcher, and the list goes on! Thanks, as ever, for sharing your adventures with your fans. 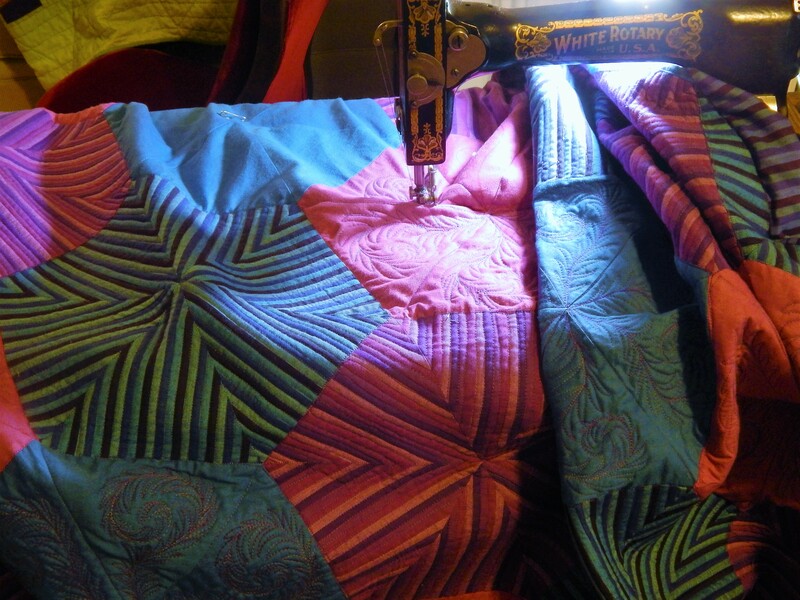 Quilt on! 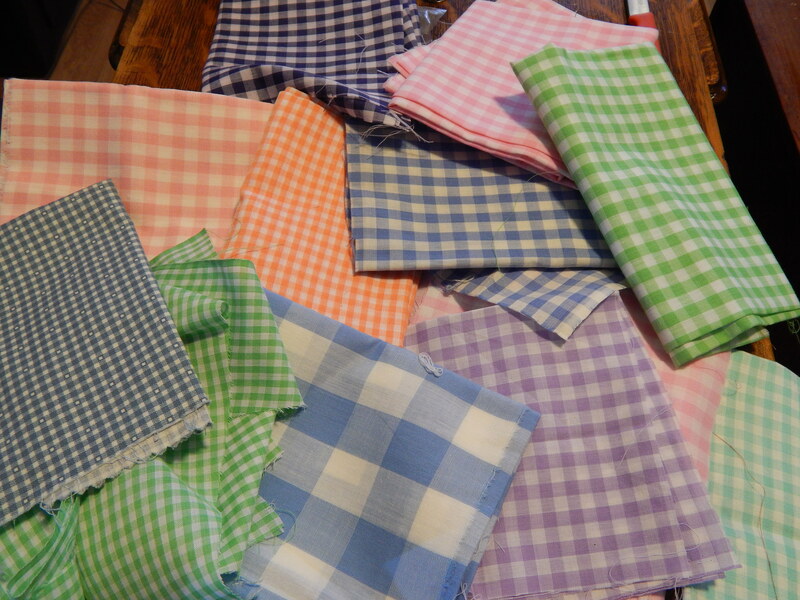 If you need more of the gingham fabric I have a bag of it. The older viking sewing machines are my favorites also. The low gear is the best. My go to machine for mending jeans. My mother gave me a brand new top of the line machine similar to the one you have for my high school graduation present. 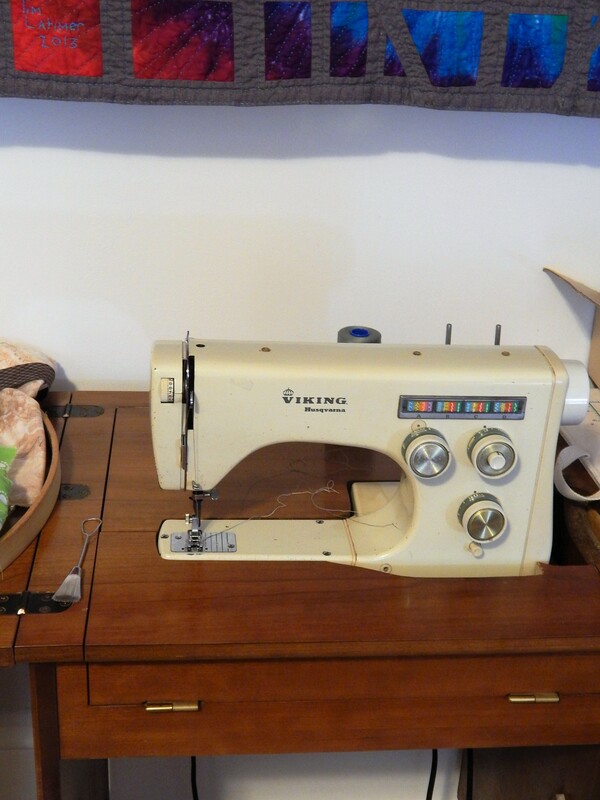 [Other kids got cars and I got a fantastic sewing machine 🙂 ] It was dark brown and had more cams than yours shows. 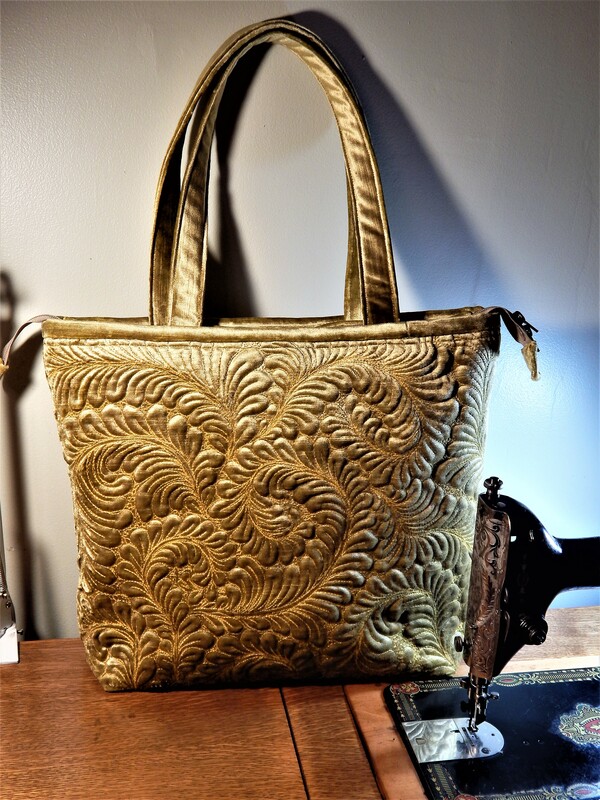 My mother herself had one like yours. I inherited her machine and am using hers now as mine also died. I was so sad that I used it to death! That’s cool that you were able to get a working machine from the two of them.